A few years ago I was in constant, throbbing pain. My lower back and hip would rank a 9 or 10 on the pain scale for days. The doctors I went to said I was too young to have back problems. I hurt too much to snap back with snarky remarks. Fast forward a few months when I learned I had herniated discs in my lower back that were pushing on nerves connected to my hip. But before my MRI revealed this root cause, I’d already started taking action to reduce my pain so that I could at least function in my daily life. One of the biggest game changers was cutting out inflammatory foods and drinks, even though at first it was incredibly hard to give up my morning tea and afternoon coffee routine. This, along with a single cortisone injection and concentrated physical therapy, eliminated my unbearable pain with no severe reoccurrence since. Now I know that back pain affects roughly 8 out of 10 people at least once in their lives (U.S. National Library of Medicine). And there are plenty more of us who just feel a little off, sluggish or tired. Inflammation is connected to all kinds of pain that many of us experience on a daily basis. Luckily, there are multiple ways to integrate anti-inflammatories into your life, from the mundane addition of spices to the space-age use of cryotherapy. And even by just understanding inflammation and anti-inflammatories, you can better target body feedback issues when they do arise. Typical inflammation is the body’s response to injury or an attack by germs. When your tissues are injured, the damaged cells release inflammatory mediators including histamine, bradykinin and prostaglandins. These chemicals do many jobs, including forcing the narrow blood vessels in the tissue to expand, allowing more blood to reach the area. They also isolate the area from other body tissues, so the problem stays localized. You’ve probably seen surface indications of inflammation as redness, swelling, pain and local heat, which are all ways for the body to get more nourishment and immune activity to the area that needs it. This acute inflammation is actually a good thing: it’s your body’s defense mechanisms at work. Even better, inflammatory mediators attract white blood cells called phagocytes that basically “eat” germs and dead or damaged cells. All this helps the body heal faster after trauma. Continued and unnecessary inflammation can also increase pain levels in daily life. And, did you know that inflammation can make you age faster? In a 2015 study on aging, people with the lowest levels of inflammation had the best chance of staying mentally sharp while growing older. Even if you don’t have one of these exact issues, chances are that reducing your body’s inflammation will make you feel better than you do now. Here’s how to do it. Turns out there’s some truth to the idea “you are what you eat.” Food plays a major role in causing inflammation; luckily it can be just as effective as an anti-inflammatory. Use these guidelines to help you choose what you should consume regularly. High-fiber foods: More fiber in your diet is likely to decrease inflammation, says the Arthritis Foundation. A 2009 review published in European Journal of Clinical Nutrition also showed that high-fiber diets combined with eating more healthy monounsaturated and polyunsaturated fats also helped people lose weight. 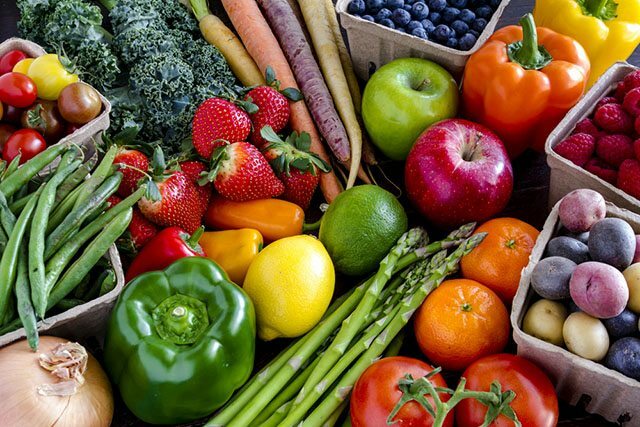 Go fresh: Reach for more fruits and vegetables; the more colorful the better. Berries are packed with antioxidants, as are dark leafy greens. Peppers and tomatoes have also been shown to reduce inflammation, though as members of the nightshade family they can act as triggers for some people, explains Health. No matter if blueberries or beets, try to only buy and eat organic produce to avoid potentially harmful pesticides. 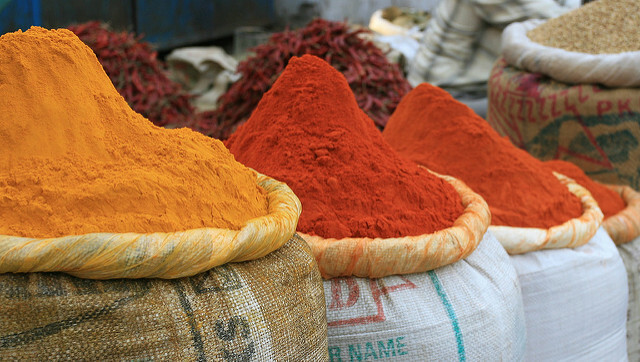 Add some spice: Ginger, turmeric, cayenne, cinnamon and cloves are all anti-inflammatory powerhouses. Same goes for onions and garlic. All of these are both delicious (for many) and will reduce inflammation. Omega-3s: These fatty acids help reduce inflammation. You’ll find omega-3 fatty acids in fatty fish like salmon and sardines as well as leafy green vegetables, walnuts, pumpkin seeds, flax oil and ground flax seeds. If you eat fish, check the Monterey Bay Seafood Watch card to ensure you’re eating varieties that are sustainable and not high in toxins. Taking an omega-3 supplement, whether plant- or fish-derived, is another good way to ensure proper levels. Look for those that contain EPA and DHA if you go this route. Water: That’s right, water is helpful for flushing out toxins and irritants that cause inflammation. Aim to drink half your body weight in ounces a day. So, if you weigh 160 pounds, you should drink 80 ounces, which is 10 cups (not 8!) or nearly two and half liters. Drink your water 30 minutes before eating instead of with meals and you’re even likely to lose weight in the process. 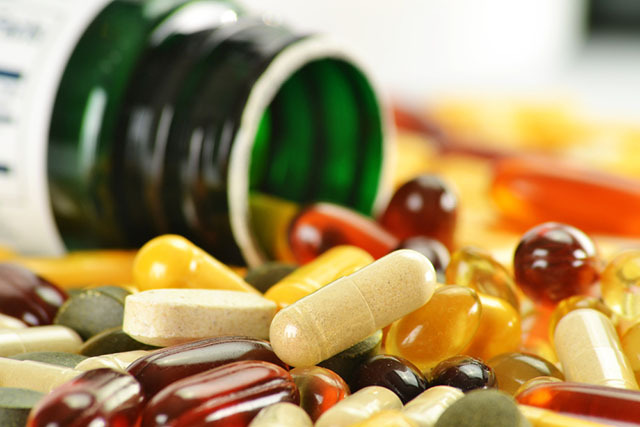 Supplements: Whether omega-3s, concentrated green food, probiotics, or even a quality multivitamin, supplements help create the baseline for a body that’s low inflammation. Supplements can also help target inflammation triggers through concentrated doses of cumin or other anti-inflammatory spices if you need an extra boost. Hungry for more anti-inflammatory foods and diet recommendations? Check out the Chopra Center, the Lyn-Genet Plan and Dr. Andrew Weil for more anti-inflammatory diet information and the science behind them. Move: Regular exercise is an excellent way to prevent inflammation. If you sit most of the day, make sure to walk at least 30 minutes a day. Short, intense workouts a few times a week also help reduce and prevent inflammation over the long term. Just make sure to include recovery time for maximum benefit. Cool off: Cryotherapy is another anti-inflammatory technique that’s gained popularity over the years. In fact, its effects “have long been recognized by sports therapists as a resource for post-workout muscle recovery and temporary pain relief,” explained Penelope Green in “The Big Chill” in Vogue (March 2015). How it works is fairly simple. 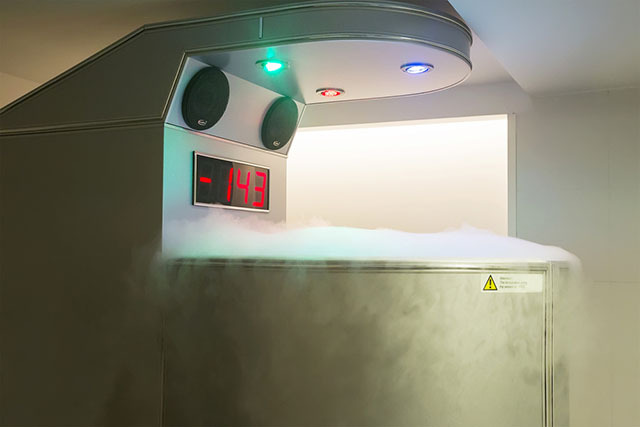 When you enter a cryosauna, your blood vessels contract because of the extreme cold. Your blood rushes to your core, resulting in increased circulation, and triggering both natural anti-inflammatory response and release of endorphins. The principle is similar to an ice bath – or the cold-water plunge that Tony Robbins does every day – but faster (you only stay in the chamber a few minutes) and, frankly, more pleasant. Relatively new in the United States, much of the research on this practice comes from Europe, though more and more cryospas can be found across the country as people try the quick freeze technique. Besides its anti-inflammatory effects, users like Michael Allen Smith report feeling more alert and relaxed after their sessions. Stress management: Constant stress makes your body produce more cortisol, a hormone that can actually make inflammation worse. So if you reduce your stress, you’re likely to reduce your inflammation levels. More sleep, meditation, yoga, long walks, vacation, even breaks from technology/screens are all great ways to support your immune system. Sugar: According to the American Journal of Clinical Nutrition, processed sugars trigger the release of inflammatory messengers called cytokines. Cut out foods with added sugars like candy and soda, and look for hidden sugar traps that are making your levels spike, then crash. Refined grains: We’re looking at you, white bread. 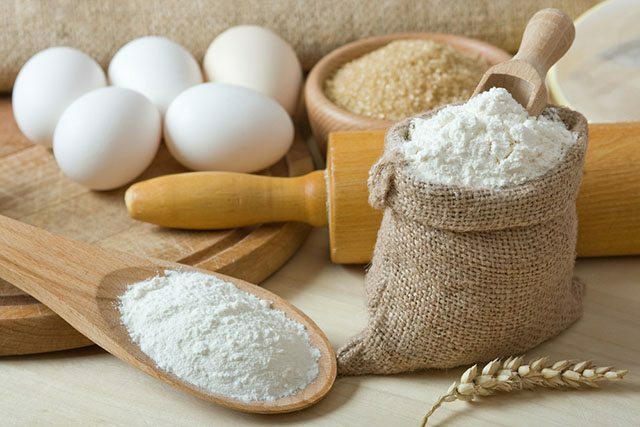 Simple carbohydrates like white flour breaks down into sugar right in your mouth. Instead, reach for whole grains like brown rice, bulgur, or beans. Less-refined, less-processed foods with a low glycemic load will also help fight inflammation. And remember, reducing doesn’t mean never eating bread again. It just means being conscious of how much and when. Salt: Too much salt causes the body to retain water and, you guessed it, increased inflammation. The average American eats about 3,400 mg of sodium a day, which is almost 2 teaspoons of salt. But the Centers for Disease Control and Prevention (CDC) recommends limiting sodium intake to less than 2,300 mg a day. That’s roughly 1 teaspoon of salt. Processed and packaged foods and restaurants often have incredibly high sodium levels; eat fresh foods whenever possible. Caffeine: Study results are mixed on coffee and inflammation, but caffeine can definitely be an inflammation trigger for some. For me, cutting caffeine out for a month — yes, it was hard — made a big difference in my pain levels. Then I did some experimenting to see what negatively impacted my body. I now happily drink my morning black tea with no negative effects, while others swear by coffee as their way of fully coming alive. 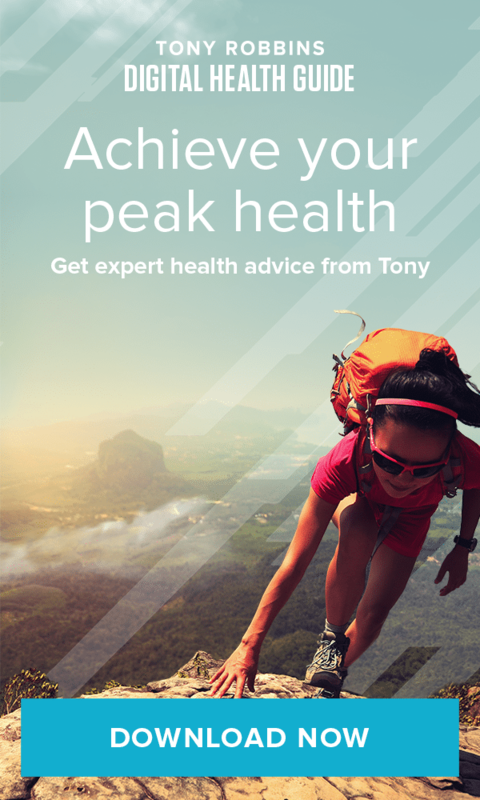 As with anything related to health, it varies by the individual. Bethany Qualls is a writer and researcher with a background in journalism and editing. She’s written on everything from handmade ceramics to translation localization, taxidermy to finance, though frequently not under her own name. Her passion is to help people harness the power of words, no matter the context.